Fully graduated 100ml measuring cylinder with 1ml graduations, excellent for accurate measurement of volumes. 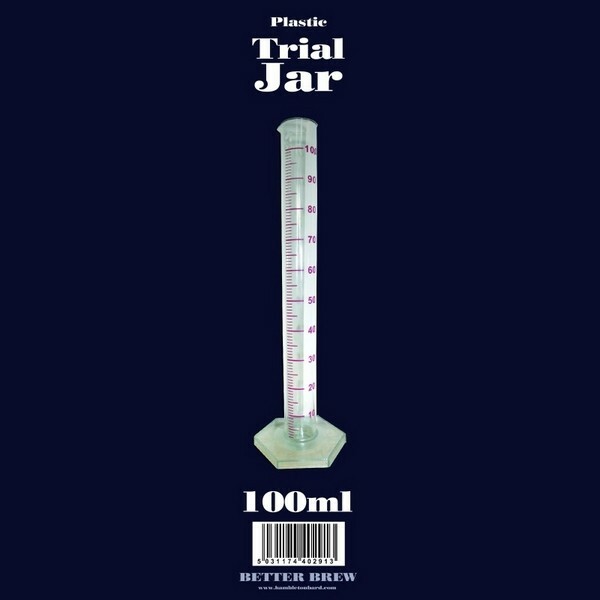 This Trial Jar is essential to ensure successful measurements of all wine or beer making ingredients. 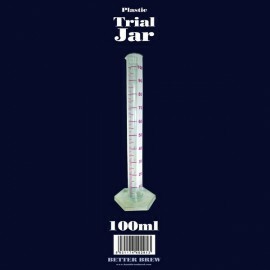 It is also great as a glass hydrometer trial jar which allows you to take specific gravity measurements easily.